Hanging their weeping branches down over visitors heads and setting free little cherry petals. Kasagiyama Natural Park is in the mountains to south east of Kyoto, near the boarder of Kyoto and Nara. 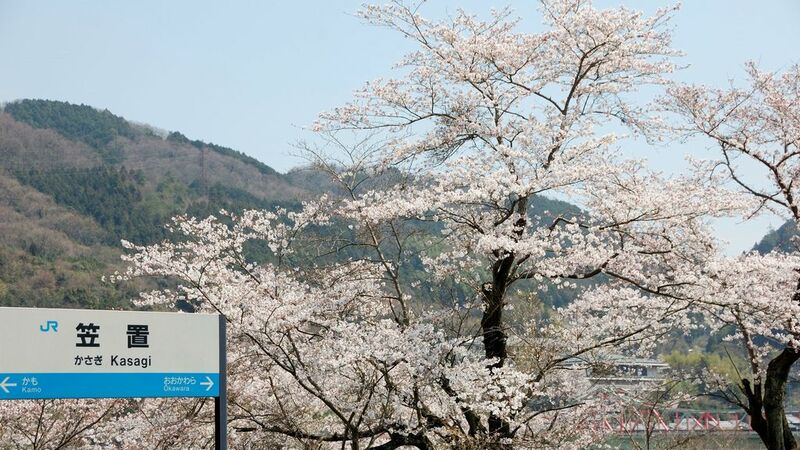 Kasagiyama Natural Park is most famous for its cherry blossom and is considered one of Japan’s Top 100 cherry blossom spots for not only the volume of cherry trees but for the magnificent beauty of rows cherry blossoms trees such as “Someiyoshino” and wild cherry trees. In early April, You will be amazed when standing in front of the vast and open space of about 3000 cherry trees that fully cover Kasagiyama Natural Park. Access : 45-minute walk from Kasagi station on the JR Kansai-main line. Bus : Shittle bus is available from Kasagi station to the park.